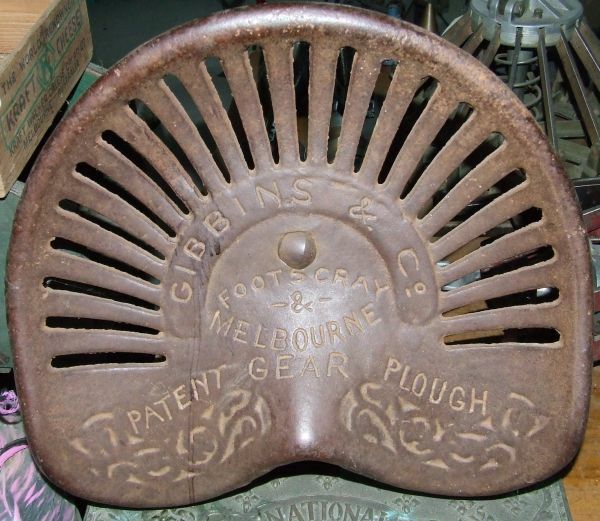 Gibbins was founded in 1878, in Melbourne, as a manufacturer of a range of discs, harrows, grader blades and cultivation equipment. In the early 1970's, Gibbins merged with Rawlings to produce Gibbins-Rawling Co.
At this stage, Gibbins-Rawling was the distributor for the Scandinavian based Kongskilde range of cultivation equipment. In 1986, John Berends Implements Pty Ltd bought Gibbins-Rawling and relocated all stock to their Dandenong premises. Berends had a large slice of the cultivation market at this point, but believed a share of the trailing disc market would be beneficial. 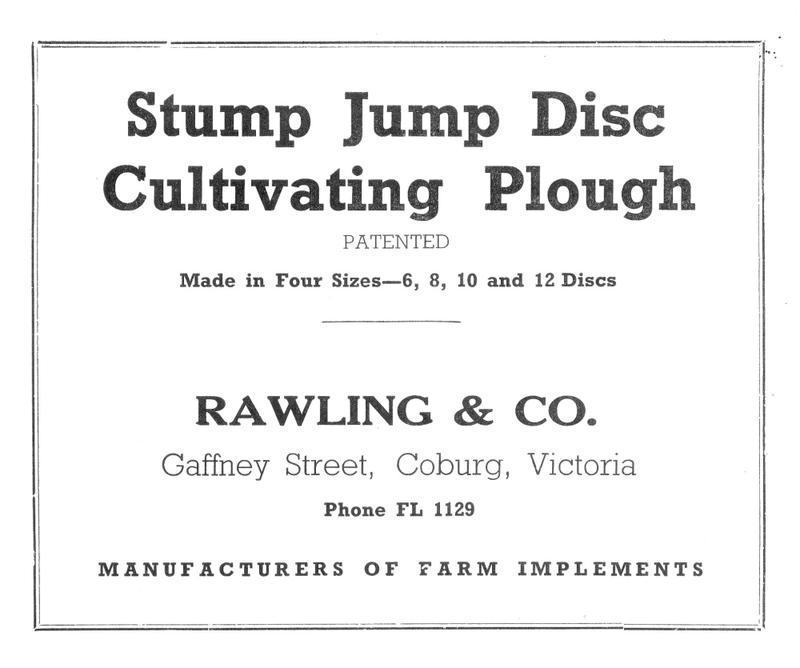 In taking on the Gibbins-Rawling range of discs, Berends were able to provide a quality range of discs, which had already been tested in the field for a number of years. The Gibbins-Rawling name and colours were kept until 1998, after which all machines were painted in the Berends colours. 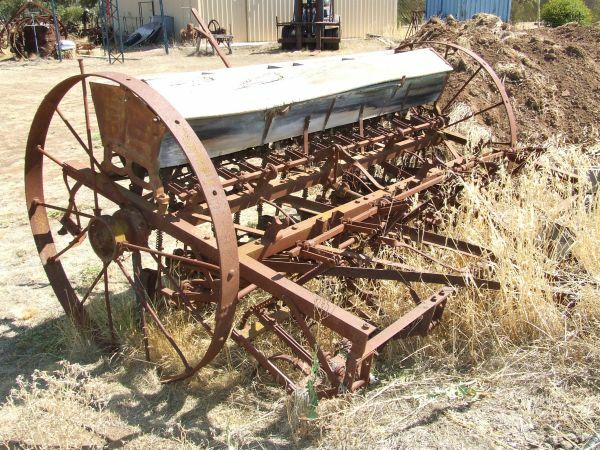 The name has been retained, as it is has a long and favourable history with the Australian farmer. References: History note from the John Berends Website. 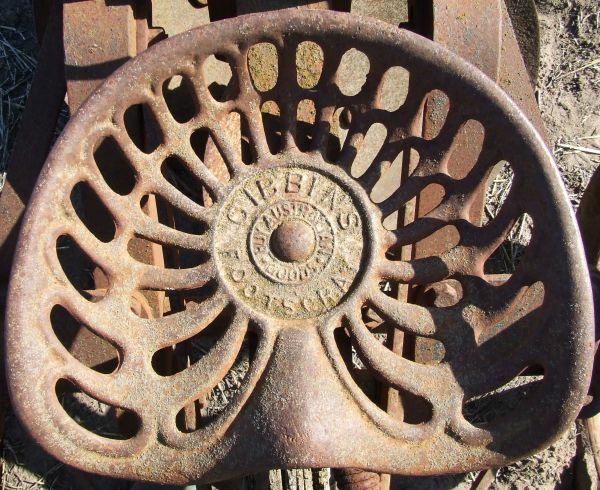 Spanners marked Gibbins & Co seen so far are all similar in appearance to the one shown below. They have either P77, P78 or no number marked. Sizes are similar in appearance - but I have not had all 3 together to compare and measure exactly. If any reader can provide additional information or images please make contact via the link below. Gibbins & Co Cast / Malleable Plow Spanner, about 24 in long. This spanner is also seen with number P78, and without number, see below. 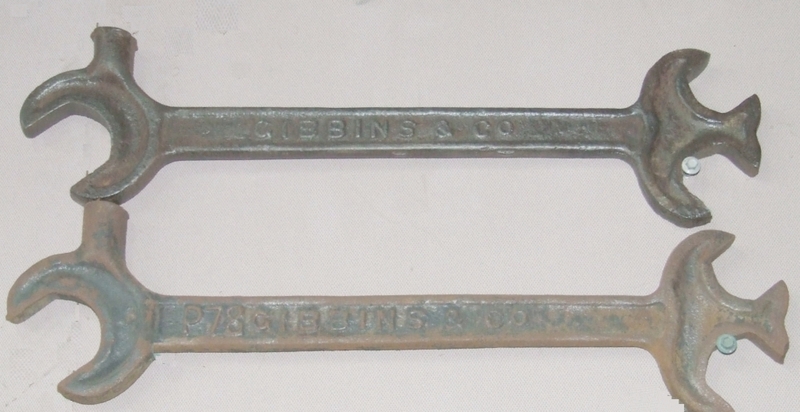 Gibbins & Co Cast / Malleable Plow Spanners, about 24 in long. Top one has no number, bottom one has P78 embossed. Gibbins & Co Cast Steel / Footscray - Spanner - Multi O/E with hammer -16 in long. 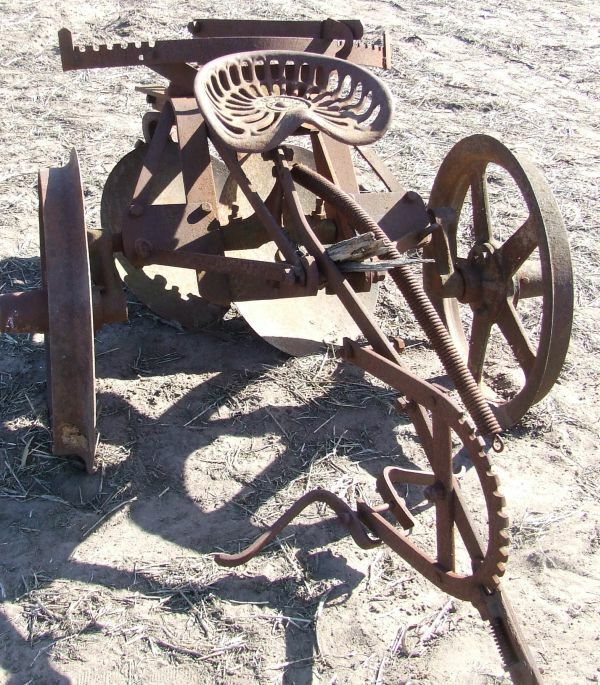 Gibbins Patent Gear Plough in a sad state. If any viewer has a manual or parts list to help in the restoration please make contact. Pic courtey of Pam and Dave Borchard.